Almeria passenger and car ferry ticket prices, timetables, ticket reservations and information for ferries sailing from Almeria to Ghazaouet, Melilla, Nador and Oran . Compare all available Almeria ferry ticket prices in real time and book the cheapest available Almeria car and passenger ferry tickets sailing to and from Almeria, Ghazaouet, Melilla, Nador and Oran with Acciona ferries online with instant confirmation. Book Almeria Ferry Tickets with Acciona for ferries sailing from Almeria to Ghazaouet, Melilla, Nador and Oran online in advance to enjoy the cheapest available ferry ticket price. The price you see is the price you pay. There are no hidden extras or surprises such as added fuel surcharges or booking fees and we do not charge you anything extra for paying with a Visa Electron card. The price we quote you for your selected Almeria passenger or car ferry ticket, onboard accommodation and vehicle type is all you will pay, and that's a promise. To obtain a Almeria ferry ticket price and book your ferry ticket securely online please use the real time ferry booking form on the left. You are also able to add a hotel at your destination, or anywhere else, to your ferry ticket when completing your ferry ticket reservation. The city of Almeria is located in the Spanish region of the same name on the Costa Almeria at the eastern edge of Andalucia. This is probably the least known of all the Spanish costa's although tourism is a growing industry here with holiday resorts developing to the east and west of the city. Almeria is located in southeast Spain, 114 miles east of Malaga. This magnificent city is known for having the best weather in all of Spain, as it is warm and dry virtually the entire year. Almeria is located in the centre of the bay, facing the Mediterranean Sea at the base of a sturdy mountain which is topped with an astonishing Arab fortress called the Alcazaba, built by the leader of Cordoba, Abd-erRahman III . The city of Almeria is Andalucia's most eastern capital. Years ago, it was not as well known by tourists as other capitals like Malaga, Sevillle, or Granada. However, that has changed drastically in the last while with its growth as a major holiday area. It is a fabulous place to visit anytime, but Almeria is especially pleasant in the spring and fall. It has a mild climate that is perfect for traveling throughout the region. Costa Almería has centuries of history that is certainly evident in the structures that you will see around town. One such sight to witness is the Arab citadel that watches over the entire city. Almería´s history is not just contributed by the Moorish occupation. This place also holds numerous archaeological indications of the various ancient cultures, including the Tartessos, Phoenicians, Romans, and Visigoths, who were drawn to its shores due to its natural beauty and useful maritime geographic location, even before the Arabs came. During the first half of the 10 th century, Córdoba caliph Abd ar-Rahman founded the Alcazaba of Almería . Being the huge Islamic defense force that it is, the Alcazaba dominated the city during the ancient times. In the midst of the fortress is the Segundo Recinto, while at the east end is the Ermita de San Juan chapel which was originally a mosque and later on converted by the Catholic Monarchs in 1489. The Cathedral contains various art reserves, as well as a tabernacle dating from the 18th century and designed by Ventura Rodriguez. Up to the present day, this edifice still stands as a reminder of Almeria's glory days, when it was the chief seaport of the Cordoba caliphate. Costa Almería grew wealthy on commercial trade of textile, particularly with silk that were woven from the silkworms of the Alpujarras.In 1522, Almería was distressed by a seismic activity. Reconstruction and recovery did not arrive in Almeria s favor until the 19th century. With its interesting medieval architecture, Almería s old town is a delight to stroll through, with its tranquil squares, archways and colonnades. The city also has a fascinating archaeological museum and unique cave dwellings in the hillside above the old gypsy quarter. If you want to explore such a beautiful city, cose your accommodation wisely, so you are in the very centre of it! Furthermore, if you find yourself wanting to come back to Costa Almeria year on year, why not consider a time share here? Many people do it with options such as homes in the Hamptons (US) or apartments in Buenos Aires and so why not give it a try in Spain? You are sure to enjoy the opportunity to have a place in the sun to escape to! Those looking for enlivening holidays throng to the renowned holiday resorts to the east and west of the lively capital city of Almeria. Almeria city is deemed a must-see, especially the old Alcazaba castle that towers over the city. The city itself is filled to the brimful by nice-looking squares. The sights and sounds are all appealing. In the city, people might want to lounge at its swanky cafes. Ambling down the ferry port and marina is also a lovely venture here. Beaches, marinas, hotels and sports centers keep the momentum afloat for vacationers hoping to make the best out of their holidays. They are all happily found strewn in the resort towns of Mojacar to the east, and Anguadulce, Roquetas de Mar and Almerimar to the west of the city. To the west of Almeria are the ritzy tourist resorts of Roquetas de Mar and Aguadulce. The naturist beaches of Vera are located at the north of the Costa de Almeria, where a number of new complexes are being constructed here. Down further south is Mojacar. It boasts of a white village laid on the hillsides. The town has ever since successfully charmed tourists who both love little excursions out of their beach holiday antics. The growing modern complex of Almerimar, found to the west, is where tourists are lapped with marinas, golf, hotels and many other facilities. Adra meanwhile is an old fishing port town situated further westwards. The said seaport town is best known for its very interesting castle and various archeological remains. However, tourists often miss the route, when traveling along the coastal motorway to or from the CostaTropical. Almeria is best known as the capital of Spain's grape industry. The landscaped squares are so magnificent that you can spend hours just sitting and observing. Enjoying a Spanish snack while relaxing in one of the squares is a cherished pastime for locals and tourists alike. All the boulevards in Almeria are lined with gorgeous trees, creating shade and a crisp, clean atmosphere. Almeria has remained relatively unchanged over the decades. It is still comprised of a maze of narrow, side-winding alleyways, which are laced with small, flat-roofed houses. Modern apartment structures have been added to the suburbs because of a recent increase in tourism. But the older architecture, comprised of beautiful white homes, creates a distinctly Andalusian ambiance within the city. The buildings and religious structures of the city are amazingly well-crafted, and a walking tour of Almeria is great fun. Best Price Guarantee - We always offer you our lowest available Acciona passenger and car ferries ticket price to and from Almeria. There are no hidden extras or surprises such as added fuel surcharges or booking fees and we also we do not charge you anything extra for paying with a Visa Electron card. The price we quote for your selected Almeria ferry ticket, onboard accommodation and vehicle type is all you will pay, and that's a promise! In the unlikely event you find the same all inclusive Almeria ferry ticket cheaper in the brochure of any other tour operator we promise that we will do our best to beat that price or offer you the choice of requesting a refund. 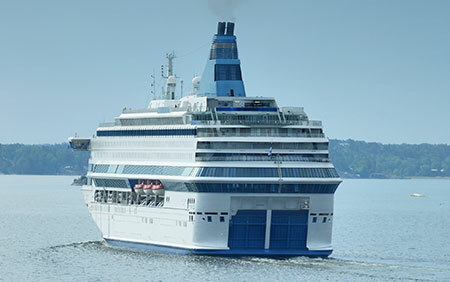 To book Almeria car and passenger ferry tickets please click here. At ferryto.co.uk you are able to obtain live Almeria ferry ticket prices, check availability and book car and passenger ferry tickets to and from Almeria at our lowest available ticket price. Ferryto.co.uk is part of the world's largest online ferry ticket distribution network providing the ability to book over 80 major European ferry operators including to Almeria and to over 1,200 other ferry routes throughout the UK, France, Spain, Ireland, Holland, Eastern Europe, the Mediterranean, the Baltic and North Africa.